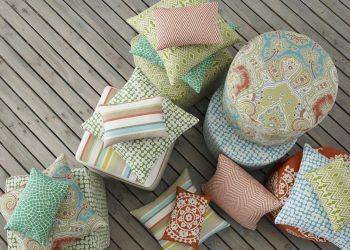 Ever wonder how one of your favorite fabrics is made? 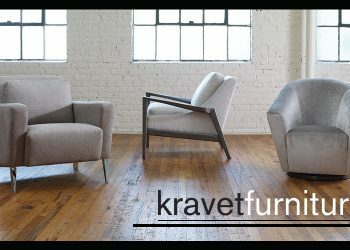 Not just how the design comes to be, but how the fibers are married and become the plush textures you hold in your hand? 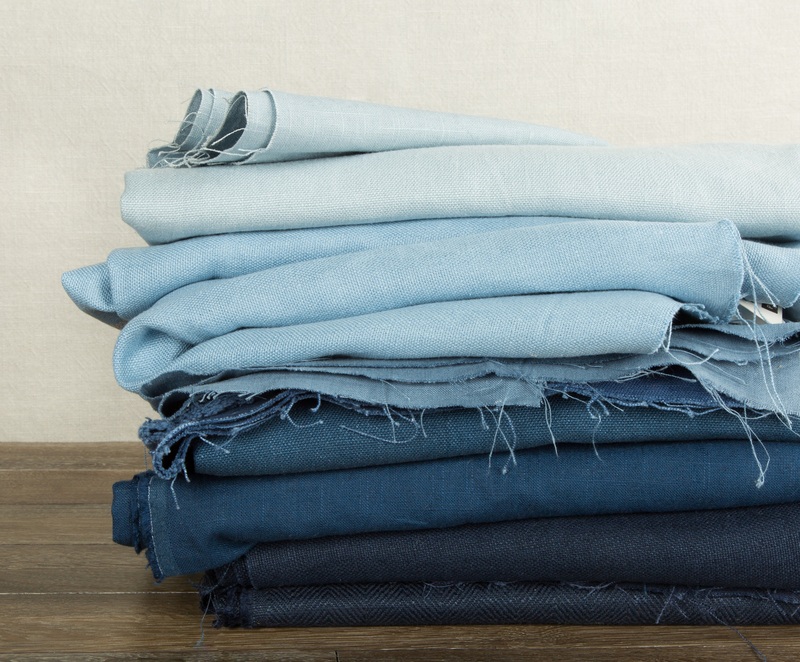 We sat down with our product development team to find out – Linen: how it’s made. 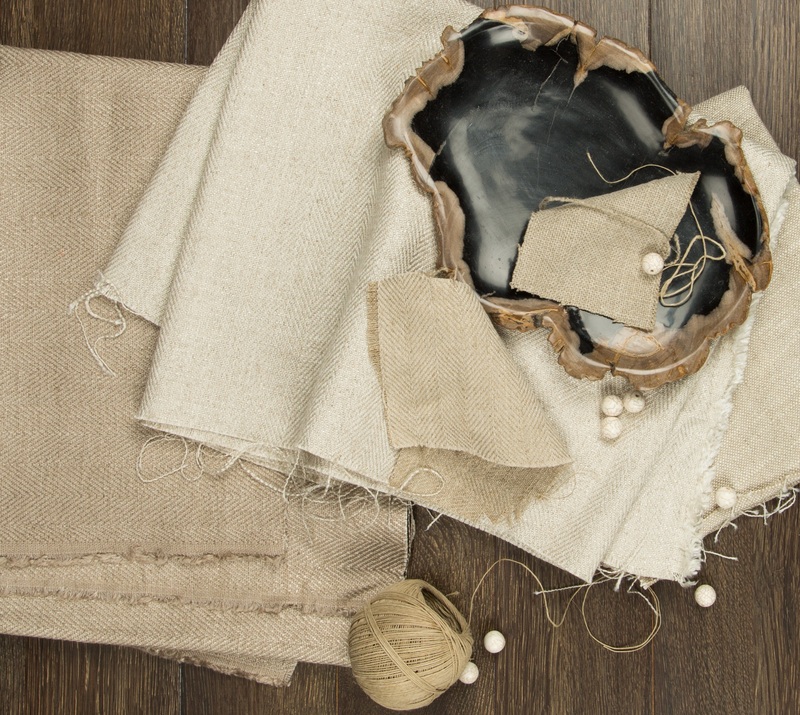 Linen is a textile made from the fibers of the flax plant – “linum usitatissimum” – which is the Latin botanical name of the plant. Flax blooms in groups of bluish, navy blue, and occasionally in violet, rosy and white flowers. Each flower blooms for only a few hours. It opens up at dawn and closes and falls off at around noon when the heat sets in. The flax plant is not difficult to grow but it flourishes best in cool, humid climates and within moist, well-plowed soil. Flax can only be grown on the same field twice before signs of “flax fatigue” begin to show. It will be another seven years before flax can be cultivated again on the same field. 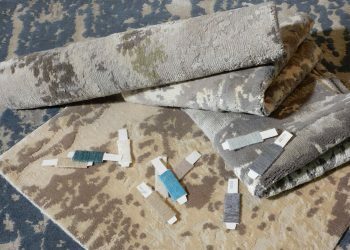 The quality of the finished linen product is dependent on the growing conditions and harvesting techniques. 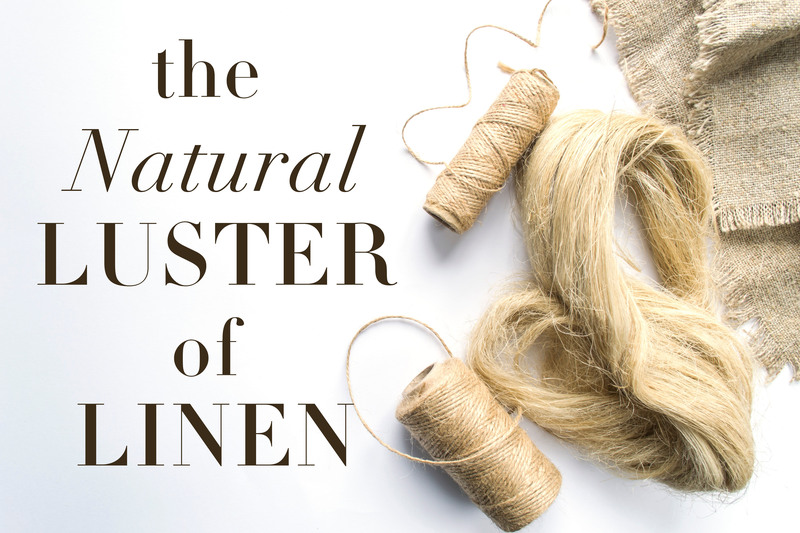 Linen yarn is spun from the long fibers (varying in length from 2 to 36 inches) behind the bark of the stem of the plant. The process of separating the flax fibers from the plant is a labor intense and pain staking process. In order to retrieve the fibers from the plant, the woody stem and the pectin (gum) which bonds the fibers together in a clump must be rotted away. To produce the longest possible fibers, flax is either hand-harvested by pulling up the entire plant or stalks are cut very close to the root. After harvesting, the seeds are removed through a mechanized process called “rippling.” The fibers must then be loosened from the stalk. This is achieved through retting. This process uses bacteria to decompose the pectin that binds the fibers together. Natural retting methods take place in tanks and pools or directly in the fields. In addition, there are chemical retting methods that are faster but more harmful to the environment and to the fibers themselves. After retting, the stalks are ready for scutching. This process removes the woody portion of the stalks by crushing them between two metal rollers, so the different parts of the stalk can be separated. The fibers are set aside for other uses. The short fibers are then separated by hackling or combing them away to leave behind the long, soft flax fibers. After the fibers have been separated and processed, they are typically spun into yarns and woven or knit into textiles. 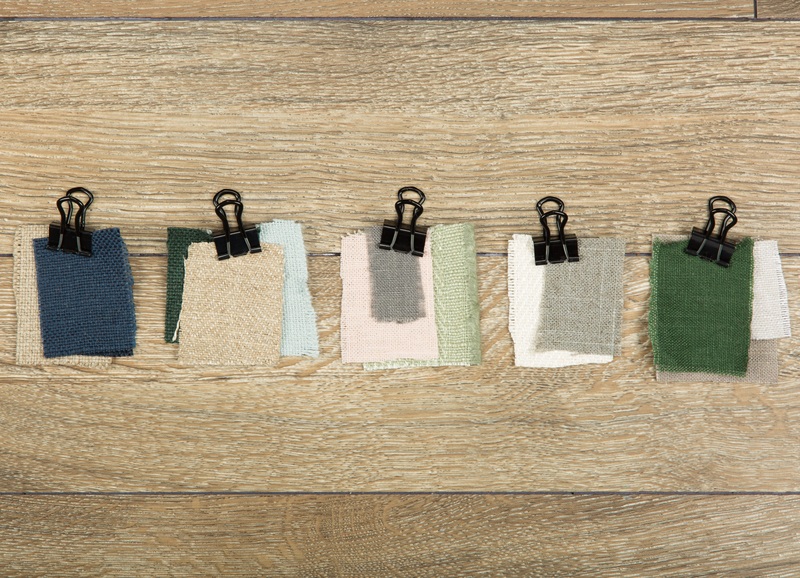 Linen’s natural off-white color ranges between shades of ivory, ecru, tan and grey. Pure white linen is created by heavy bleaching. 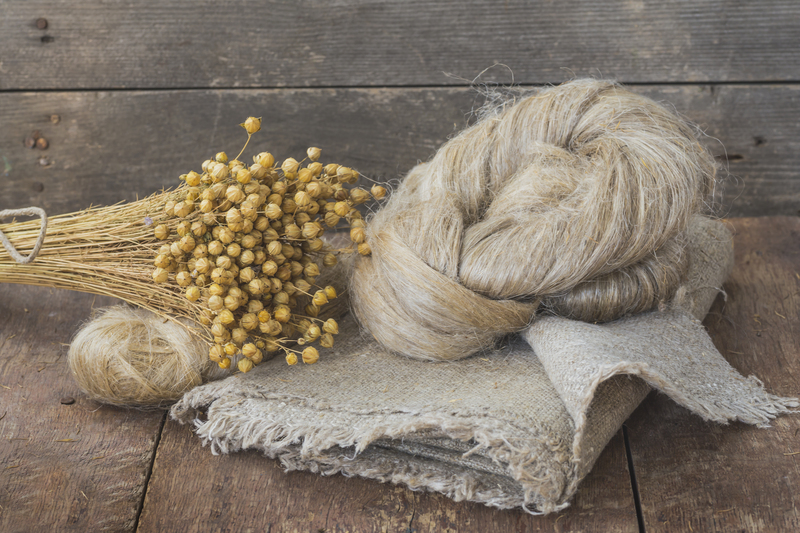 Pretty fascinating how thousands of years ago someone had the idea to take something from nature’s beauty growing in the fields, break it down and then weave it into one of the most luxurious fabrics that to this day remains in demand for many of our interior design projects! 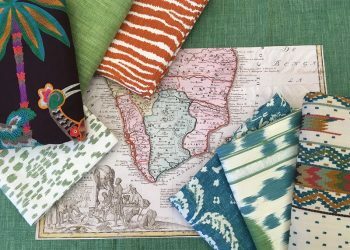 In keeping with this historic tradition, Kravet is offering a new book Complete Linen II – the perfect complement for your design projects. 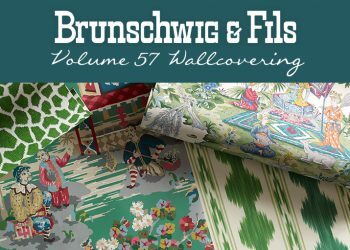 Offered in a wide range of color and a variety of weights, this book of 180 linens is a designer’s go-to resource. Shop Complete Linen II here.